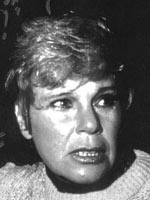 Betsy Palmer played the mother of Jason Voorhees in Friday the 13th. She was a long time panelist on TVs I've Got a Secret. She will always be Mrs Voorhees to me. Michael Zaslow--played Roger Thorpe for years on Guiding Light! Awesome actor.